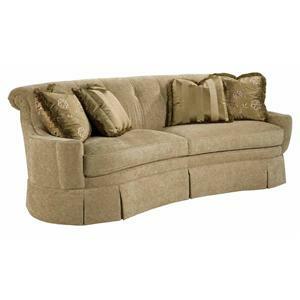 The Carson Collection is a traditionally elegant sofa group that you can customize to fit the decor of your home. With over 600 exciting upholstery options, there is sure to be a look or two that matches your style. The Charlotte collection features a unique rolled back, button tufting and plush accent pillows. Browse other items in the Carson collection from Belfort Furniture in the Washington DC, Northern Virginia, Maryland and Fairfax VA area.